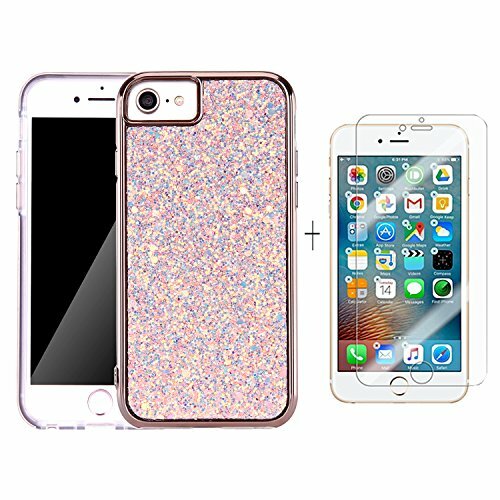 While the case is protective, the studded sequin on the outside hard shell give off a beautiful shine, stylish metal buttons are the perfect accent to add more sparkle to this brilliance beautiful case. Detachable Long Lanyard Neck Strap: Also, it can be used to carry Iphone 7 plus, Camera, USB flash memory cards, flash drives, iPod or MP3 players, flash lights, small meters, and electronic devices etc; Ideal for preventing loss or damage from device being dropped. Dual Layer: This interchangeability of layers enables you to make a style just for you. Made of high quality and refined workmanship. Nice protection, shockproof and , anti-scratch, anti-dust. Unique design allows all the key buttons and device to be accessible. GMkiki is committed to 100% satisfaction of our customers, provides money back guarantee. Any issue with the product, please feel free to contact with us. We will fulfill your request promptly.